Jeep Wrangler sales are insane right now, with the vehicle scoring its best month ever in April at 29,776 sales. This tops the previous record, which took place just the prior month when the company sold 27,829 of the boxy off-roaders. Over the past two months Wrangler sales have nearly doubled, as the company began pumping out its new and improved 2018 model, the JL, while simultaneously offering the outgoing JK, also as a 2018 model. The two Wrangler generations have tag-teamed the market to yield all-time sales records for two straight months. Sales are no doubt helped by two Wranglers being on sale at once, one of which is dated but significantly cheaper than the other. The Wrangler is so hot right now that it nearly outsold the Toyota Camry, a mainstay at the top of the vehicle sales chart, and a family sedan that Toyota sold 29,848 copies of in April. That’s a difference of only 72 sales between the Camry and the Wrangler last month. Look at the Camry’s sales over the years, and you’ll see that Toyota sells about 30,000 of the things each month in the U.S. according to GoodCarBadCar. The Wrangler, on the other hand, tends to sit around 15,000 to 20,000. Whether the Wrangler’s recent sales trends will continue, it’s hard to know. The JK’s assembly line is being re-tooled to produce a new Jeep truck after the outgoing Wrangler ceased production last Friday, so the JL will have to rake in the sales all on its lonesome. So yes, the Wrangler sold at numbers on par with the Toyota Camry this month because the JK and JL were both available for 2018; but one of the bigger factors than there being two Wranglers is the fact that Jeep may finally have the manufacturing capacity to meet demand, and that means the JL’s streak may continue for quite some time. The Trump administration has talked about weakening automobile fuel economy and emission regulations for some time now, even delaying the implementation of new penalties against automakers failing to meet the standards, before having that delay blocked by a U.S. Court of Appeals in April. The Department of Transportation, Reuters reported Tuesday, even created a proposal to “freeze vehicle requirements at 2020 levels through 2026,” though 17 states are suing the administration to prevent this from happening. The White House is planning a meeting next week with President Donald Trump and senior leaders of major U.S. and foreign automakers to discuss planned fuel efficiency rule changes through 2026, automakers and administration officials told Reuters on Wednesday. According to the news site, Ford, General Motors, Toyota and at least nine others are expected to be at the meeting, which will likely take place on May 11. General Motors’ South Korean unit has been struggling for a while now, with tensions reaching a fever pitch in February after GM shut down a major plant in Gunsan. From there, some employees protested, some destroyed the CEO’s office after hearing they wouldn’t get bonuses, and South Korea even offered The General lots of cash to stay in the country. But late last month, Reuters reported that GM Korea decided not to file for bankruptcy after the workers union accepted major concessions including a wage freeze, no bonuses this year, and reduced benefits. The news outlet reported yesterday that, in the wake of the company’s decision to keep its Korean operations alive, GM will pump a $3.6 billion “cash infusion” into its Korean division in the form of loans. Loans from the GM mothership to GM Korea were a big point of contention, of late, with Korean politicians saying their high interest rates contributed to the GM division’s poor performance over the years, according to Reuters. Whether these new loans will have lower interest rates, we don’t yet know. The deal, which will likely include the Korea Development Bank getting preferred shares for its $750 million investment in GM Korea, as well as $800 million of GM’s loans being converted into preferred stock—should be solidified sometime in early May. 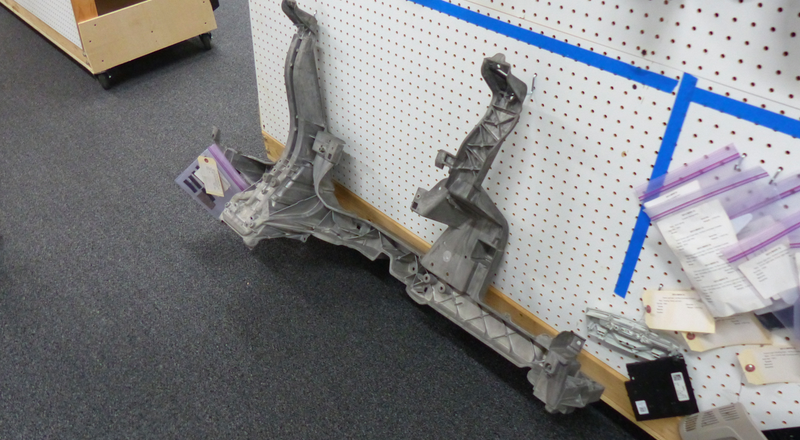 If you’ve ever had the misfortune of having to replace a car’s heater core or fiddle with wiring under the dashboard, you’ve probably noticed that your instrument panel’s main structure (the “cross car beam”) has a unique, gray metal, “cast” look to it. Eaton Rapids Fire Chief Roger McNutt said the blaze was “one of the worst” he’s seen during his 40 years with the department. He said officials waited for the fire to burn out because water will not extinguish a magnesium-fueled blaze. He asked residents to avoid the immediate area surrounding the factory. The incident began with a fire that occurred near a shift change at the plant, Malewski said. Although the fire’s cause is still under investigation, Desentz said the blaze apparently originated in an area of the plant called the “tunnel,” where workers put magnesium scraps on a conveyor belt to be melted down. Right now, most cars still have gray brake calipers, with only sporty or high-end luxury models showing a bit of color behind those wheel spokes. Whether this will change, and we’ll start to see bright calipers on pickup trucks and regular run-of-the-mill sedans (assuming those still exist in the future), we’ll just have to wait and see . Mr. Toyoda’s career has included postings in every phase of automotive operations, including production, marketing and product development, both in Japan and internationally. Outside Japan, he served as an executive vice president and board member at New United Motor Manufacturing, Inc. (NUMMI), Toyota’s production joint venture with General Motors in California, starting in April 1998. Neutral: Will The Wrangler Ever Fall From Grace? The Wrangler is killing it right now, and has been for some time. 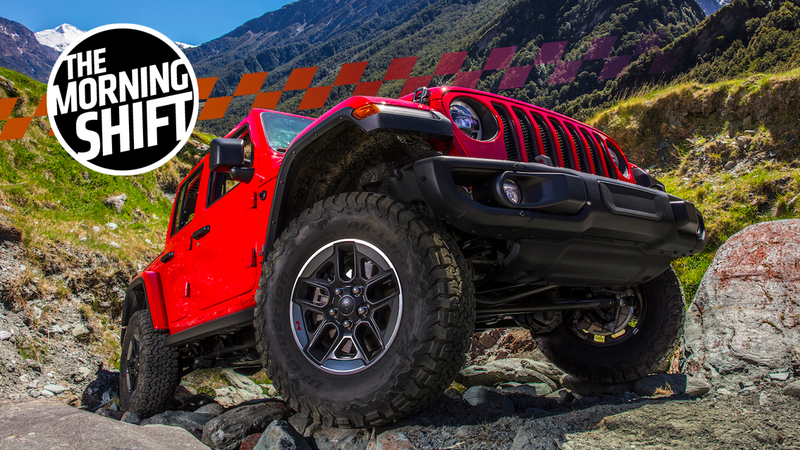 Will America’s love for the solid-axle off-roader continue into infinity?